Citrix GoToTraining online training software enables your organization to provide live, interactive instruction to employees, customers and students anywhere, anytime. Reduce travel and reach more learners by moving your instruction programs online. GoToTraining makes it simple to set up course catalogs for promoting your classes. Keep your administrative workload light by following up with automated invites and registration. And then when it’s time to train, you can easily measure learning through built-in testing and polling. With GoToTraining, you can train up to 200 people at once online. There’s no need to travel or set up a venue, so you pay less. Built-in VoIP and toll-free audio options also add to the cost savings. Plus, you can record your sessions for those who miss the live training or simply want to review. Don’t just tell – teach! GoToTraining has a full range of tools that make the virtual classroom extra engaging and interactive. Show videos and share up to 6 attendee webcams. Invite subject matter experts to teach with you. Chat, draw and highlight on the content you present. And the list goes on. Expand the reach of your live online training to your mobile customers or workers. 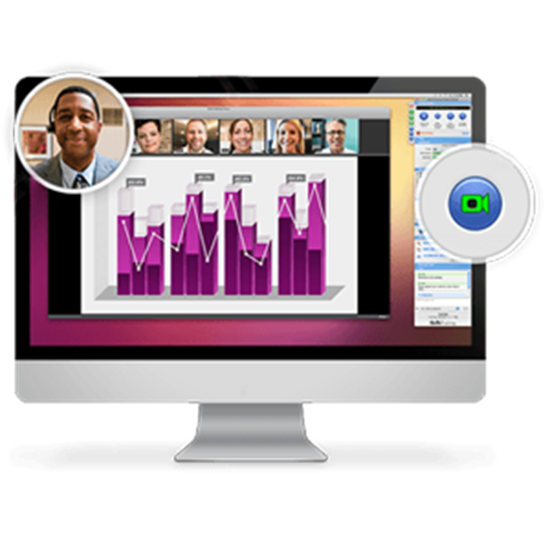 The GoToMeeting app for iPhone and iPad lets those on the move get the same rich, interactive learning experience that their desk-bound classmates enjoy. Let GoToTraining RevStream handle your payment processing and transform your learning programs into profit centers. The RevStream feature integrates seamlessly with PayPal so you can easily charge for your classes and track your payments online.